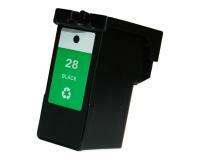 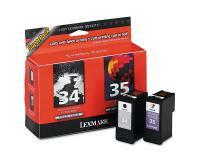 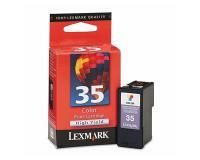 Lexmark X2500 has an alert system which will warn the user when is recommended to replace an ink cartridge. 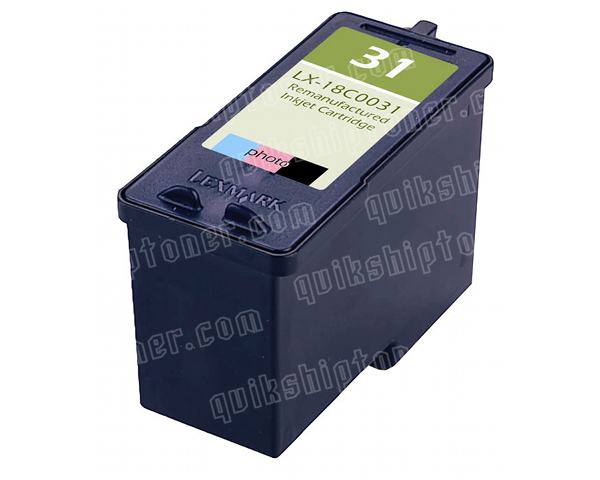 On the control panel of Lexmark X2500 there are two lines of lights. The upper line will turn on when the user has to replace the color ink cartridge. 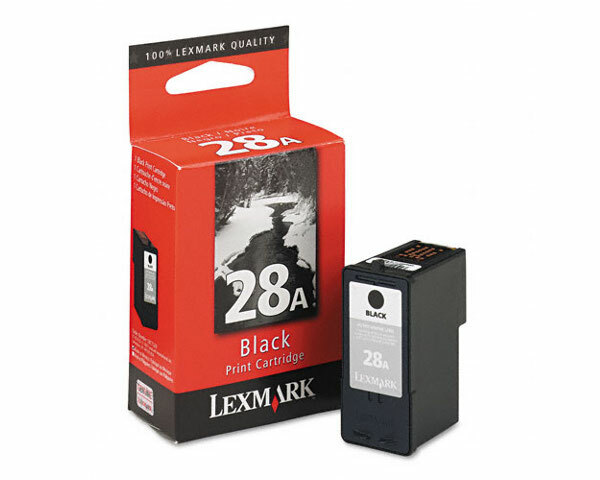 The other line will indicate when black or photo ink cartridge has to be replaced as soon as possible. Another way to check ink levels is using the Lexmark diagnostics tool installed on your computer. 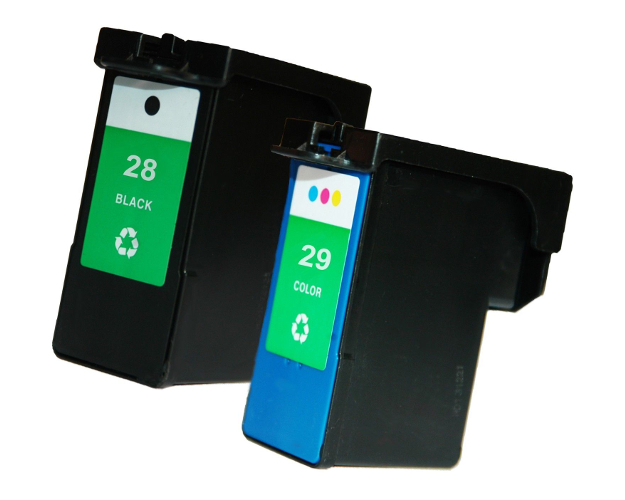 To replace an ink cartridge remove remaining paper and make sure the printer on. 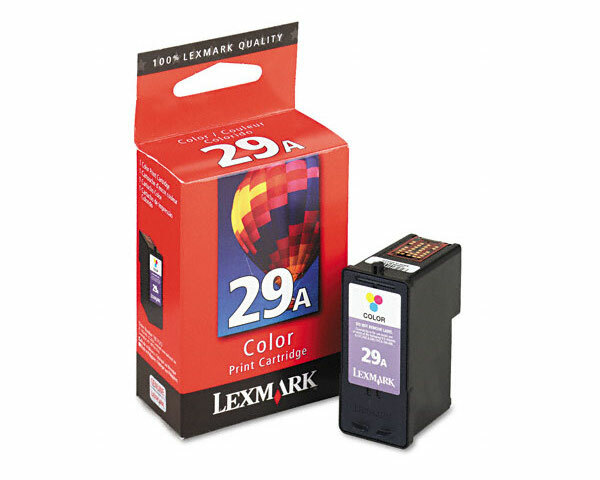 Lift the scanner up and open the cartridge carrier lever. Pull out empty ink cartridge and dispose of it regarding local regulations. Unpack the new ink cartridge and remove the sealing tape. Install the ink cartridge back in the printer regarding its correct spot. Close the carrier lever and scanner unit. Press and hold OFF button for several seconds. 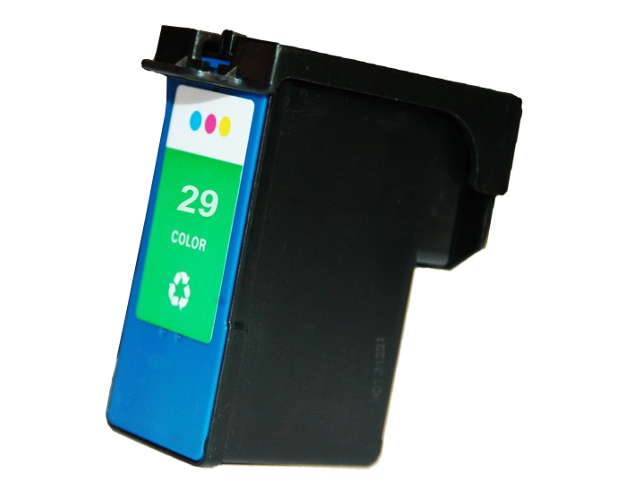 Test page will be printed. 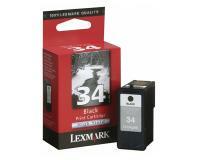 To align the cartridges put the printed page for scan and again press and hold OFF button.